Are you like me? Do you sit down with your Gooseberry Patch cookbooks and read only the tips at the bottom of the pages? I like to do that. It's part of my process when tackling a new Gooseberry Patch cookbook. My first read through the cookbook is recipes only. My second viewing is for tips only. I like to savor the two sections individually. I'm just quirky like that! So, when I found out that Gooseberry Patch was starting a new series named Tiny Tips, I was intrigued. What wondrous information could be contained within these pages? Fortunately, I was given a sneak peek into two of these books and I'm going to share some inside information here. So, what about the tips? Yes, these books are filled with tips that correspond with these themes: Get-Togethers, Kitchen, Cozy Home, Gifts to Make and Give. As I read through the tips, I couldn't help but think about how great so many of the ideas were. Keep freshly baked bread warm and toasty...simply slip a piece of aluminum foil into the bread basket, then top with a decorative napkin or tea towel. Did you know that lettuce won't brown if you tear it by hand instead of cutting with a knife? Hosting a dinner party? Stack a few cookies at each place setting and tie up with gingham ribbon...a sweet surprise for each guest. Serve up summer salad dressings in Mason jars with a vintage serving spoon...a pretty country touch for any table. Fill a galvanized tub with ice, then nestle in jars. Everyone can help themselves! Here's another tiny tip that I wanted to share - I'm giving away a copy of this book, Tiny Tips for Get-Togethers. It's perfect for planning your fall get-togethers. It's easy to enter. See the details below. Gooseberry Patch provided me with a preview copy of this book. Views expressed here are my own. No additional compensation was received. ﻿I am so fortunate to have been asked to review Gooseberry Patch's Tiny Tips for Get-Togethers and want to share my good fortune with you. Gooseberry Patch has sent me an extra copy to give away to one of my readers. 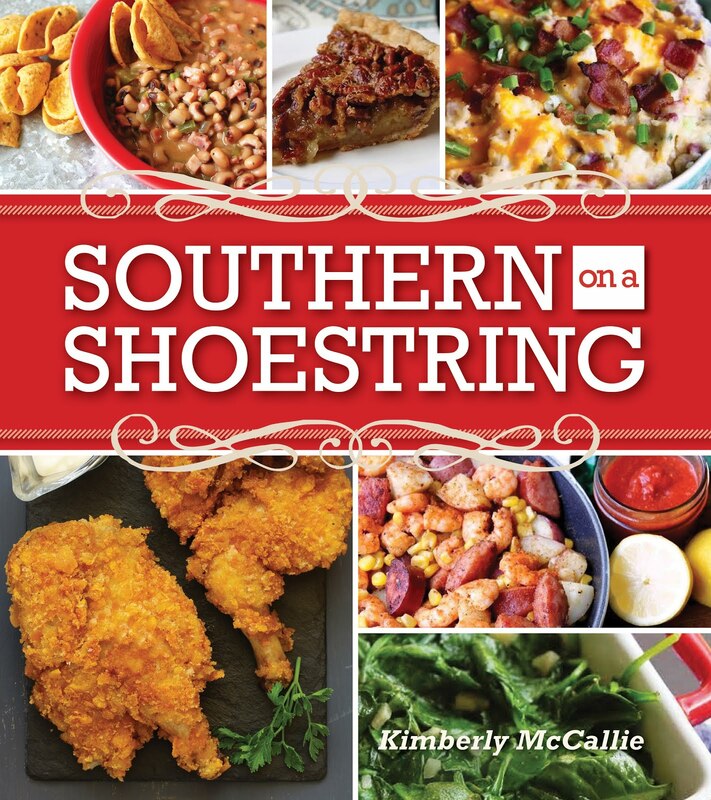 If you would like to ﻿enter to win a free copy of the cookbook, you may enter by simply choosing to follow my blog through Google Friend Connect or Networked Blogs (in right-hand column) and by commenting on this post to let me know you're interested in the cookbook. Also, include your e-mail address so that I may contact you if you're the winner. If you are already a follower, just leave a comment here letting me know you're interested in the contest. I think I've entered each of the Gooseberry giveaways :) I'm interested! Very much so! Already a follower and interested in the contest!! I am following through networked blogs! I'm interested in the contest! Sounds like a great book! Kim you are always so sweet in your "writing" I love to read your blog. and you are so lucky to belong in the family with Gooseberry Patch! I love ALL their products...COOK BOOKS and these cute little Tip booklets are wonderful addition. I'd love to win one of these. They look so fun. I collect all things Gooseberry Patch and have these adorable books already but if I am so luck to win I will add to my "gift collection" for the holidays or save for my daughter. Thanks so much for a chance to win! Hi! 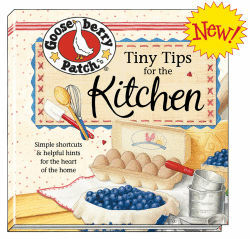 I'm your newest follower and would love to win this Gooseberry Patch book! Thanks for the opportunity! I follow. Please count me in. I would love the chance to win a Tiny Tips GBP book!! Please count me in too!! I wanted to tell you that I just picked up a copy of the Gooseberry Big Book of Home Cooking. Oh my gosh - talk about mouth watering pictures! I first saw it on your site and then when I saw it at the store, I had to get it. I love gooseberry patch...this would be a fabulous book to start my collection! Actually I could also use a little jump start to plan a get-together or two! Yes, that's me! I am totally a tiny tip person. That is exactly what I read first every time. I'm your newest follower, thoroughly enjoyed this post, am happy to know of these new publications, and would love to win one! I am very interested in this give away and I'm now following your blog. How fun! I'm a GFC follower: Ladytink_534 and I would love to be entered! I am now HOOKED on Gooseberry Patch & am ALWAYS on the lookout for great kitchen and cooking tips - so please, include me in this giveaway! I love kitchen tips! This is a great giveaway! I follow your blog and would love to win! Love Gooseberry Patch cookbooks. Would love to win. Found your blog on their site. I am a follower and would definitely be interested in this book. I follow you through Networked Blogs and I would love a chance to win! Would love to win it - thanks! I just started following you through Network Blogs. I would love to win this book. I signed up to follow you through Google Friend Connect. I would love the win this Tiny Tips book. I would love to win this book as a way to transition from the work world outside of the home to the harder working world inside the home. (Not by choice yet trying to embrace it. )Thanks for the chance. Just signed up to follow this blog. Would love to win the Gooseberry Patch Books that you reviewed and are giving away. I have never won anything and am a new bee to the sites! I always got your Catalogs and loved every minute of them and still look at them today! You are teaching a 53 year old how to broaden her menus! I have been making the same old things over and over again and since I have been making your recipes, my husband loves sitting down at the table to see whats new today! Love you so very much and can't live without you!!! THANKS!!!!! I am a follower on Google Friends. What a wonderful giveaway! Thank you for entering me. I love Gooseberry Patch ANYTHING! It's so comfort-oriented. :) Hope I win!! Oh! I love those tiny tips especially the ones in the Christmas and holiday books! I love to read about gift giving ideas and then a little lightbulb goes off and I think, now why didn't I think of that. I simply love GBP books!!! I'm already a follower-please enter me in for a "tiny" chance to win some "tiny" tips :). Thanks for hosting!! !